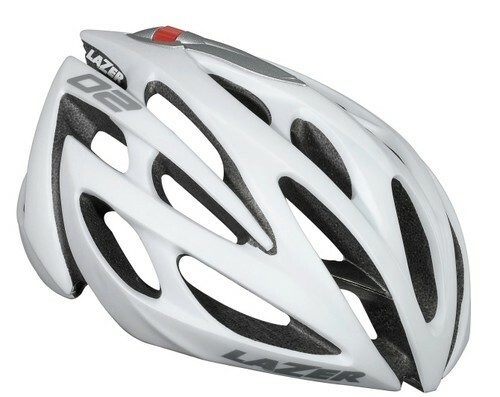 The Lazer O2 Road Helmet is a great value road helmet with great looks and advanced technologies from higher up the Lazer range. WSR loved the Lazer 02 helmet, ultra comfortable but more importantly you feel safe while wearing it. Roll-sys retention system gives you accurate and progressive sizing adjustment using a unique roller at the top of the helmet, allowing you to easily alter your fit with one finger, even while riding. The roller regulates the tension of a cable that is routed around the entire circumference of the head, giving totally even retention without pressure points or pinching.